Three-dimensional paper engineering is simply a fancy way of saying pop-up books! The University of New Hampshire has received a donation of almost 2,000 pop-up books and they are now on display at the UNH Museum. What a great way to spend an afternoon, but you'd better make plans now, the exhibition is only open through December 16. 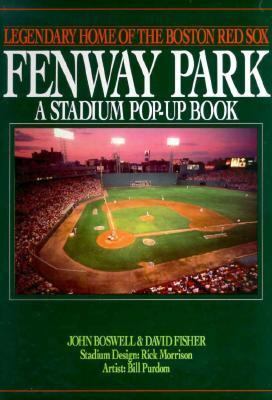 We don't generally purchase pop-up books in our children's room collection due to the fragility of the medium, but, we do have a fine example of an adult pop-up book which we keep in our reference collection for people to oooh and aaah over: Fenway Park: Legendary Home of the Boston Red Sox by John Boswell and David Fisher [R 796.357 BOS]. We do have several books for kids on paper engineering, such as The Usborne Book of Paper Engineering by Fiona Watt [J 736.982 WAT]. Just in time for the holidays is How to Make Holiday Pop-Ups by Joan Irvine [J 745.594 IRV]. Before they were commonly known as pop-up books, paper engineered books were referred to as movable books. There's an organization known as the Movable Book Society, which has on its website, a great collection of links for anyone who is interested in paper engineered books. Shopping locally is something you should consider supporting throughout the year. Money spent in town will probably stay in town. It just makes sense. Sure you can get a job done within time constraints, but is it the best job you can do? Something to think about. Read about New Hampshire's MacDowell Colony in Community of Creativity: A Century of MacDowell Colony Artists [709.73 COM]. The MacDowell Colony continues to afford creative people the time and the space in which to work. It's a place we should all be proud to claim as uniquely New Hampshire. One of the things I'm most looking forward to this Thanksgiving is the opening of the new Muppet movie titled The Muppets. If you're a Facebook fanatic, make sure you check out The Muppets page. There are already over a million "likes." And once you're in a Muppet mood, visit the library to borrow one of our many Muppet movies such as The Muppet Christmas Carol [J DVD MUP]. This is the last post for this week. The Library is closing at noon today and will be closed tomorrow and Friday. We will be open regular hours on Saturday and Sunday. Have a great Thanksgiving! A new movie is being released which promises to be the just the kind of feel-good entertainment people look for at this time of year, We Bought a Zoo. We have the book upon which the film was based, also titled We Bought a Zoo. It's by Benjamin Mee and it's in the biography section [B MEE]. We also have it in audio [AB/CD B MEE]. 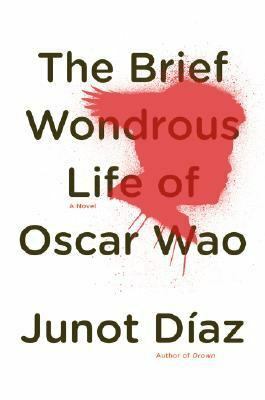 Now's the time to borrow a copy, it's due out in the theaters on December 23. I've heard that the moon is made of green cheese, but from the looks of this new map released by NASA, I'd say the moon is made of rainbow sherbet. Who knew? Asch, Frank. 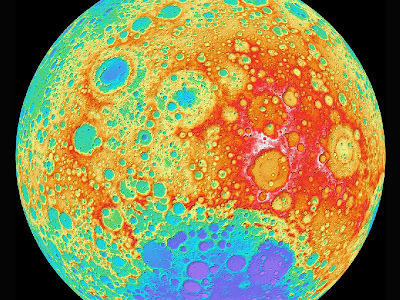 Happy Birthday, Moon. [JP ASC] When a bear discovers that the Moon shares his birthday, he buys the Moon a beautiful hat as a present. Cazet, Denys. Minnie and Moo Go to the Moon. 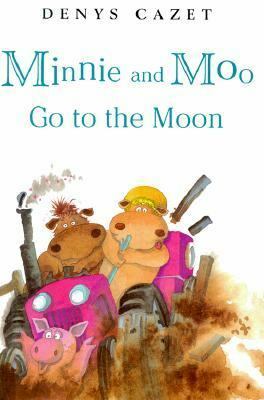 [E CAZ] Two cow friends, Minnie and Moo, decide to drive the farmer's tractor all the way to the moon. Goldburg, Myra. Catching the Moon. [JP GOL] Using a mouse as bait instead of a worm, an old woman fishes all night long, confusing the fishermen as well as the Man in the Moon. McCarty, Peter. Moon Plane. 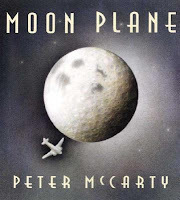 [JP MCC] A young boy looks at a plane in the sky and imagines flying one all the way to the moon. Schaefer, Carole Lexa. Full Moon Barnyard Dance. [JP SCH] A beautiful night and a full moon inspire the barnyard animals to hold a dance by the pond, where the arrival of some clouds provides them with an unexpected experience. We have a number of May Sarton's books in our collection. Sarton, although born in Europe, was a New Englander. She can also be counted as a New Hampshire resident since we lived, for a time, in Nelson. 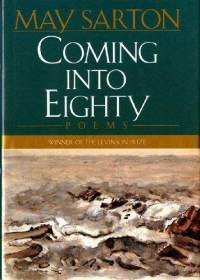 Head over to Tabatha Yeatts: The Opposite of Indifference for the Poetry Friday Round-Up. Yes, it's just one week away! How did that happen? I wish I knew. It's not too late, though, to find some new dishes to help you celebrate Turkey Day. 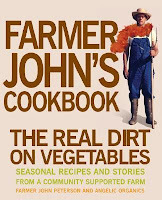 Come on down to the library and borrow one of our cookbooks. I'm sure you'll be able to find recipes that are a change of pace from the same old same old. Tired of green bean casserole? Try cooking with fresh veggies, without the canned soup and canned onions. 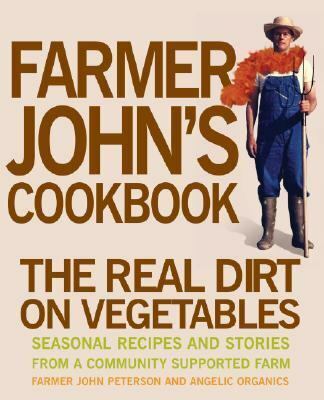 There are plenty of recipes in Farmer John's Cookbook: The Real Dirt on Vegetables by John Peterson [641.651 PET]. Tired of pumpkin pie? About a cookie buffet? We've got a gazillion cookie cookbooks for you to browse through. You can start with A Year of Cookies by Lorraine Bodger [641.8654 BOD]. Cookies aren't special enough? How about a whoopie pie? 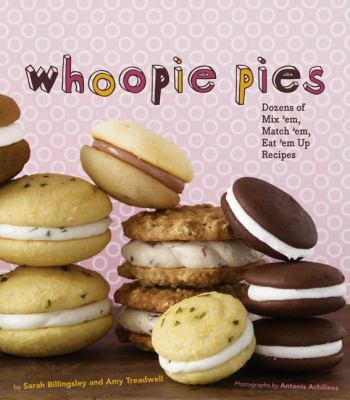 Whoopie Pies by Sarah Billingsley [641.8654 BIL] has a pumpkin whoopie pie with cream cheese filling! I'm not going to suggest messing with the turkey, though, there are some things that are sacred! And, if you're tired of feeling like you've swallowed lead weights, you can lighten up your holiday cooking with Fat-Free Holiday Recipes by Sandra Woodruff [641.568 WOO]. Also by Woodruff is Secrets of Fat-Free Baking [641.815 WOO]. There's still time to get planning--but you've got to start now! I'm looking forward to watching the PBS program scheduled for tonight at 8:00, "My Life as a Turkey." There seems to be an abundance of turkeys in the neighborhood this year. I had one saunter through my backyard and I'm in a heavy traffic area. I've been fascinated by the story of wild turkeys and their reintroduction into New England. There's lots of turkey info available from NH Fish and Game, click here. We have several books on turkeys including Turkeys by Julie Murray [636.952 MUR]. And of course, we have lots of Thanksgiving turkey stories! 'Tis the season. Did you notice the full moon last week. It was bright and strikingly beautiful, and the minute I saw it I thought, That's Cosmos' moon! 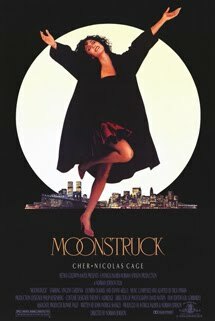 For those of you who are now scratching your heads, Cosmos' moon plays an important part in one of my favorite movies, Moonstruck starring Cher [DVD MOO]. An all-round fun and funny film. Now that I've started mentioning favorite movies, I might as well mention a few more. Ranking at the top of best holiday movies is Love, Actually [DVD LOV], which stars two of my favorite British actors, Hugh Grant and Colin Firth. A great feel-good movie. 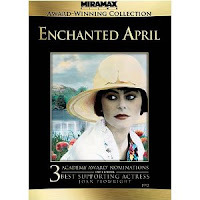 Also in the feel-good category is Enchanted April [DVD ENC]. Believe it or not, the setting is the real star of the film--Portofino, Italy. This movie is my number one all-time favorite. If, after watching Enchanted April, you find yourself looking for more of the same, don't miss A Room with a View [DVD ROO]. 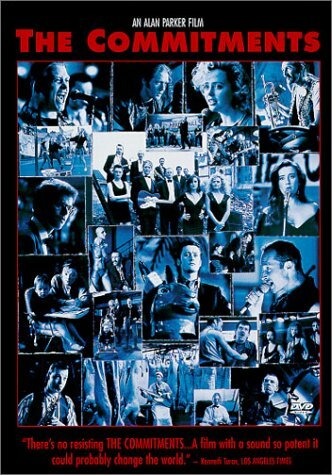 The Commitments [DVD COM] is also a favorite. It can't be called a musical, but it is full of music. Here, too, the setting, Dublin, plays an important role in the story. As does Bloomington, Indiana in the bicycle racing movie, Breaking Away [DVD BRE]. In both of these films the ending is satisfying though not exactly what you may have hoped for. As you can tell, I have lots of favorite movies, so I'll stop here for now. What's your favorite movie? 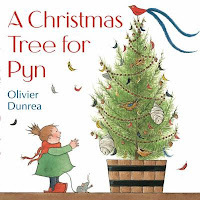 November is "Picture Book Month" as we are told on the site, Picture Book Month: A Celebration! 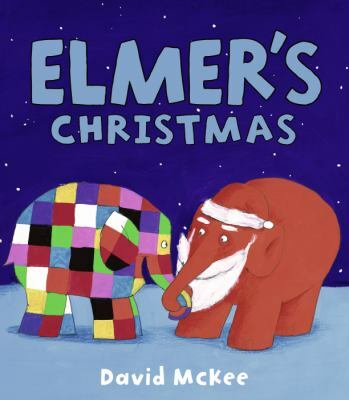 Five children's writers and illustrators have begun the celebration, and what a party it is, and continues to be for two more weeks! Please take the time to read some of the posts--you'll be surprised at how valuable picture books still are in these days of interactive media and ereaders. 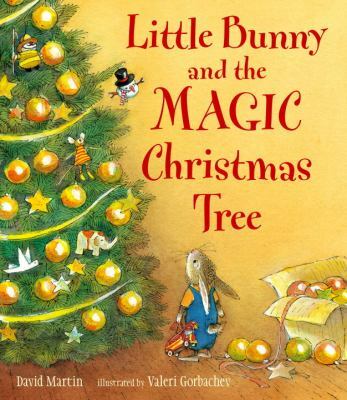 There's nothing like snuggling up with a child on your lap, poring over illustrations, and sharing a great story! 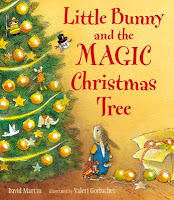 Speaking of picture books, we just received part of the 2011 crop of holiday picture books including Little Bunny and the Magic Christmas Tree by David Martin [JP MAR], A Christmas Tree for Pyn by Olivier Dunrea [JP DUN], and Elmer's Christmas by David McKee [JP MCK]. 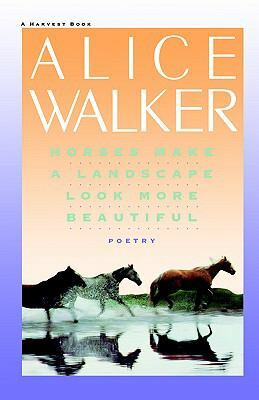 Poetry Friday--"The Death of a Soldier"
I've already written about the "Poetry for Young People" series of books in our children's room. We are now up to 21 titles! The autumn references make this a doubly appropriate poem for today. The editor of the volume, John N. Serio, explains how Stevens was inspired by a book of letters written by a French soldier. The soldier wrote to his mother that 'The death of a soldier is almost a natural thing.' Serio tells the young reader, "Stevens used the season of autumn, when we expect leave to fall, to communicate this feeling." 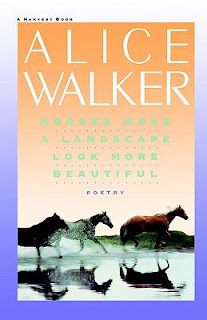 If you haven't already done so, I urge you to visit Teaching Authors for this week's Poetry Friday Round-Up. I attended an interesting workshop at a recent library conference. It was on social media--you know, blogs, Facebook, YouTube, Linked In, etc.--and legal issues. This short video was shown as an introduction to the workshop, and it drove home the point that social media is conquering the world. I thought you might like to watch it, too. I thought it might also be fun to compare today's social media revolution with the revolution brought on by the development of the the telegraph and Morse Code in the mid-19th century. Here is one title to delve into: Lightning Man: The Accursed Life of Samuel F.B. Morse by Kenneth Silverman [B MOR]. Richard Brookhiser, a reviewer from the New York Times described the changes wrought by Samuel Morse. Before the telegraph, as Silverman points out, communication was a function of transportation. Messages traveled only as fast as ships, horses or trains could carry the bearers. After the telegraph, communication seemed magical, virtually instantaneous (hence the "lightning" of the title). What did people make of the change? Morse, and many of his peers, believed in what Silverman calls an "ideology of redemption through communication." They thought men and nations would be brought closer together, and war would cease--this despite the fact that the telegraph quickly became a tool of war reporting, and war making. Brookhiser's last point is clearly taken up in Mr. Lincoln's T-Mails: The Untold Story of How Abraham Lincoln Used the Telegraph to Win the Civil War by Tom Wheeler [973.7092 WHE]. What would Mr. Morse have thought of the instantaneous communication that takes place today? Back then instantaneous was simply figurative. A newly published book is Buddha Standard Time: Awakening to the Infinite Possibilities of Now by Surya Das [294.3444 SUR]. It sounds fairly interesting and is a twist on the traditional methods of managing time. 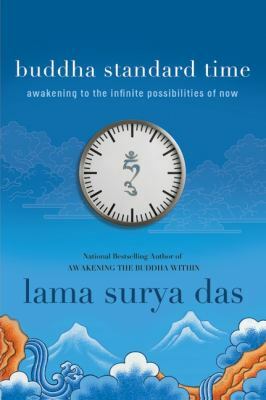 Provides an introduction to Buddha Standard Time, a concept that allows for the existence of a fourth dimension of timelessness, and provides tools and techniques for accessing Buddha Standard Time to relieve stress and find focus and creativity. I am one of those people who can't shut off thoughts, and thus, has found it a complete waste of time to consider meditation! However, that was before I found the following video. The time involved in meditating for a moment is completely do-able. 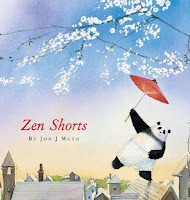 There's plenty more, just check our catalog using "meditation" in a subject search. Well, let's party! Hmmm...that means party planning books. We've got 'em in the 793.2 section. Lots! Now what kind of party should we have? I know! A storybook party! 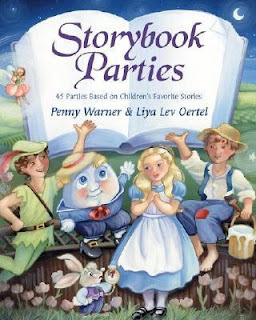 Where's that copy of Storybook Parties: 45 Parties Based on Children's Favorite Stories by Penny Warner [793.21 WAR]? I'm thinking Pippi Longstocking [J LIN]--with everyone in wild-woman braids! Laura Salas is the hostess for today's Poetry Friday Round-Up. Run right over! Yes, run! You can do it--you're doing it for yourself! Sometimes a photo-illustrated picture book story can be a lot of fun for a child, especially since it leaves the child thinking that real things can come to life. There are a few classics in this genre such as The Lonely Doll by Dare Wright published in 1957 [JP WRI]. Now comes My Milk Toof: The Adventures of ickle and Lardee (on order) by Lee Inhae. ickle and Lardee are baby teeth that have fallen out of a child's mouth and gone on to have a series of adventures. You can read the latest adventure, "Home Security," on the My Milk Toof blog. I hope you find the clip below as fascinating as I do. You can catch the complete "The Animal House" episode tomorrow at 8 pm on channel 2 or Thursday at 9 pm on channel 11. Watch A Crystal Chalice on PBS. See more from Nature. To learn more about nests, come to the library to borrow Nests, Eggs, and Nestlings of North American Birds by Paul J. Baicich [598.156 BAI].